After air and water, Sand is the natural resource that we consume most worldwide, and it’s starting to run out. Sand is being described as one the most important commodities of the 21st century. It’s what modern cities are made of; the main ingredient in concrete buildings and asphalt roads, computer screens and microchips. Extracting sand is estimated to be a US$70 billion global industry according to the United Nations, with more than 40 billion tonnes of sand and gravel being extracted every year. Billions of tons of mine site and process slag are found in waste dumps around the world. Waste dumps are an environmental hazard that pollute natural water ways and contaminate the soils of our world. EESTech can transform this waste into sand, ThermaSand. A single EESTech process line can process up to 1million tons of slag and mine waste per year, transforming what was once a liability into a technically superior high-grade sand product marketed by EESTech as ThermaSand. ThermaSand is the first real environmentally sustainable alternative to offset the need for controversial wetland sand mining that destroys sensitive ecosystems. 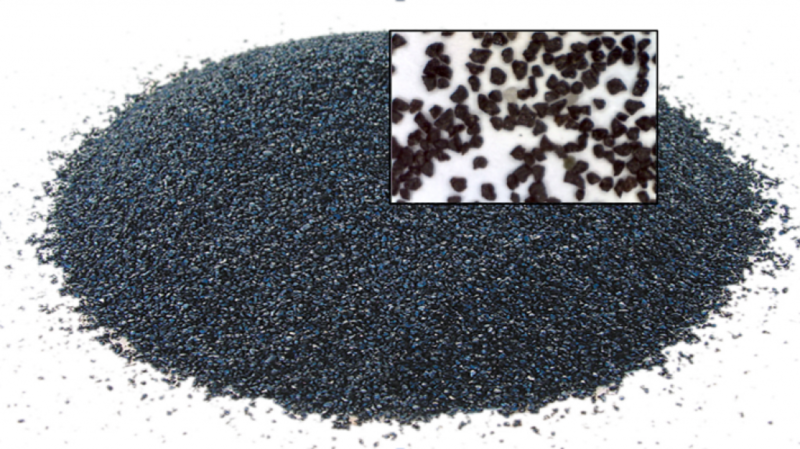 EESTech’s production process incorporates the removal of up to 99+% of any metal that resides in slag waste and utilizes proprietary binary compounds that encapsulates any remaining heavy metal materials within an acid resistant matrix to produce an environmentally stable and leach resistant ThermaSand. Independently classified as a Type4 Inert Material. This encapsulation compound also provides for a stronger grain structure, producing up to 60% less fines and dust, and supports a longer reusable service life. Originating from molten slag, which eliminates free silica, the cause of silicosis, the sand is thermally stable. ThermaSand is ultra-clean fine sand, free of clay and organic materials with a consistent particle size and composition. An ideal sand product for geopolymer, shot-crete, cement, mortar, plaster, concrete, brick and tile manufacture, which is activated to promote improved cementitious adhesion and enhances compressive strength in its final form. ThermaSand is a cost competitive – high value alternative to traditional sands. ThermaSand is a superior, highly abrasive sand blasting grit suited to most abrasive blasting needs. ThermaSand is a perfect replacement for silica sand following the recent European banning of silica sand for sandblasting due to the health concerns of fine silica dust causing silicosis. ThermaSand provides an environmentally friendly alternative to silica sand and it has a longer service life. ThermaSand offers highly valued advantages and a replacement option for natural Olivine sand, foundry sand that is in short supply. ThermaSand has been Independently certified as an inert environmentally stable high-grade sand product, in high demand across a wide variety of applications. EESTech’s advanced waste material stabilization solutions incorporate the use of proprietary binary compounds that react with waste to encapsulate any remaining heavy metal materials within an acid resistant matrix. This reaction produces a strong, low permeability, stabilized substrate that can be used in the processing of organic and inorganic waste streams. When mixed with waste materials, these binary compounds react with polyvalent metal ions to produce precipitates, which are less soluble across a broader pH range than metal hydroxides produced by other processes. These precipitates reduce the solubility and leach ability of heavy metals to produce a stable non-toxic material. The reduced mobility of hazardous solids through encapsulation, results in a fixed by-product of limited solubility with a decreased risk of leaching hazardous materials into the environment. EESTech’s unique binary compound enhances the setting and hydration of any cementitious and pozzolanic matrix. When combined with commercially available setting agents, it improves the final compressive strength and reduces the permeability of the resulting matrix to render the final product resistant to acidic attack. Increasing the hydration and bonding formation of any cementitious or pozzolanic matrix decreases the total number and size of voids or channels that can form during curing to further promote the structural integrity of processed materials. The permeability of processed material will decrease over time to further enhance acid resistance. The gel structures that achieve this function are generated through a combination of process formulations contributing to the structural compressive strengths of the final product. The resulting product is solid, less leachable and more resistant to corrosive or mechanical erosion and degradation. The cumulative benefits of EESTech’s particle stabilization process have been validated by analysis of the reclaimed sand generated from EESTech’s remediation of slag waste. Independent analysis reports that EESTech’s waste stabilization process transforms the environmental liabilities of slag waste into commercially preferred high-grade sand products. All EESTech process formulations are nontoxic and ecologically harmless in freshwater environments, completely inorganic and both economically and environmentally sustainable. EESTech’s foundry ThermaSand is technically an ideal feature rich alternative to Olivine foundry sand with no free-silica disposition and low thermal expansion resulting in the minimization or elimination of any defects in the setting of sand moulds. Featuring an alkaline signature, which promotes better bonding and stronger moulds as compared to silica sand, which is acidic by nature. Sub-angular in shape providing good permeability for CO2 gas activation. Lower thermal conductivity, which reduces pouring temperature and yields a better metal part finish. Low bulk density of 3.0 making it considerably lighter than natural olivine sand, which enables more moulds per ton of sand to be produced. No loss on ignition nullifying the possibility of pitting defects or the generation of off-gas’s during metal casting which some natural Olivine produce. EESTech can produce a wide range of grain sizes to meet foundry requirements. Independent test results reveal that mould permeability, compression and shear strength of sands from slag make it a suitable candidate for either partial or full replacement of moulding sand. During casting, no burning, dripping or collapse of the mould walls was observed in moulds produced from sands originating from slag; this is true for both ferrous and non-ferrous castings. Slag moulds made castings with a good surface finish, no surface defects and without porosity. Slag sand moulds show faster solidification rates than traditional sand moulds. With faster heat transfer, slag sand moulds enable castings with enhanced metallurgical and mechanical properties including hardness, compression and tensile with improved elongation. EESTech has the capability to further enhance the characteristics of ThermaSand with an additional process step. This proprietary induction heated process delivers molten ThermaSand into a PLC controlled ceramic venturi assembly that uses a high-pressure stream of gas with water vapour to rapidly cool the molten ThermaSand into spinal ThermaPrills. 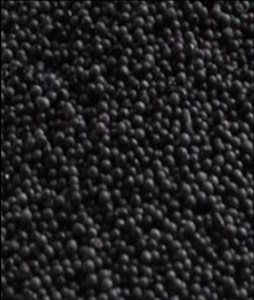 ThermaPrills have a particle size range from 100um – 2mm, a uniformity coefficient of 1.22 (compared to general sand of 1.64) with a higher compression strength and hardness greater than ThermaSand. ThermaPrills will be sought after by the foundry industry as a premium high-grade product for specialised sand casting moulds. ThermaPrills can be shaped, sized and blended to meet demanding foundry specifications. ThermaPrills have a high temperature fusion point and a low rate of thermal expansion, giving them the ability to produce stable cores and moulds. ThermaPrills are compatible with most high temperatures pouring requirements, positioning ThermaPrills as a premium foundry sand product. ThermaSand is ideally suited for use as sand blasting grit. ThermaSand is a superior, highly abrasive sand blasting grit, provisioned in three size fractions suitable for the most abrasive sand blasting applications. The use of silica sand for sandblasting has recently been banned in Europe due to the formation of fine silica dust causing silicosis. EESTech’s sand provides a healthier, environmentally friendly alternative with a longer recycling service life. The current sand blasting media market is sized at over US$400 million annually.